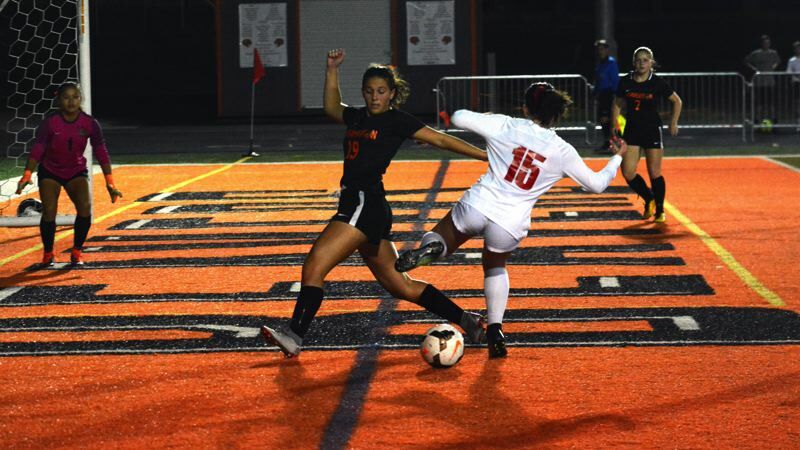 With non-league girls soccer action wrapping up and the Metro League looking just as good as ever, playoff bids could be hard to come by. As of Tuesday night, not one Metro team had less than three wins. Six schools have just one loss and No. 1 Jesuit is undefeated at 7-0. Teams that finish outside the conference's top four automatic bids could still find their way into the Class 6A postseason with how strong Metro appears on paper and how well the league has performed as a whole to begin the year. Beaverton is no stranger to the playoffs having reached the postseason each of the last five years. And with three-minute outbursts such as the one the Beavers put together on Tuesday night, it's not hard to envision the Beavers making some 6A noise again in the second season. 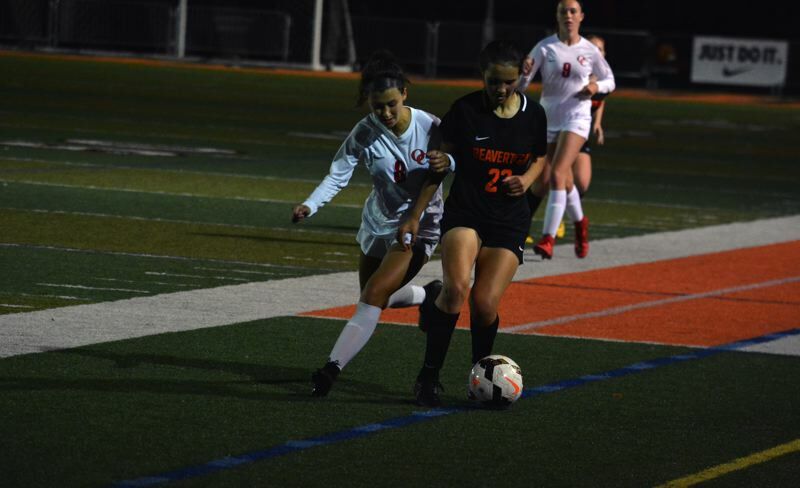 Sophomore Ella Baker and freshman Lauren Ashe both scored in a 90-second span midway through the first half against Oregon City to give Beaverton a 2-0 halftime lead. The Pioneers eventually pulled even with a pair of second-half goals and came away with a 2-2 tie at Beaverton High School. Still, the Beavers' blend of youth and seniors looks bound for another playoff bid. "From a tie or a loss, you can only grow," Baker said. "We need to take how we felt in the second half and use that as motivation going into the next game. I just want us to play our best, stay together as a team and see where it'll take us." The Beavers are 3-1-3 in non-league play with a final tune-up coming up at La Salle. Beaverton begins Metro play at Jesuit on Sept. 27. "Our connectivity and communication can be way better and if we just keep going at it like it's our last game, we'll definitely get far in our league," Ashe said. "We could've done better in the second half, but our energy was so high and we got two great goals in." Baker's sweet score came off a lefty liner shot from about the 15-yard line on the football field. The Beaver student section, sitting directly behind Baker as she left off the clip, could see the ball was right on line toward the net and bellowed in unison as it rode the high wire into the top shelf of the net to give Beaverton a 1-0 lead with 19 minutes and 36 seconds to go. "I hustled, saw it open and shot it as hard as I could," Baker said. "I was just so excited and celebrating with my team is just the best. They're just such great girls and they make it all worth it." Then Ashe scored three and a half minutes later, punching home an uncleared Pioneer attempt out of the Oregon City's goalie's mitts into the goal to make it 2-0. "My parents always taught me to be aggressive no matter what," Ashe said with a smile. "I just did what I was told. Honestly, I didn't think that was going to go in, so I just kept going." Beaverton's industry and execution in the first half were backed by larger-than-normal student section that sat next to the always robust parents' portion of the stands. There was an electricity on the Beavers' side of the field as youth was served in the form of Baker and Ashe, not to mention four more freshmen comrades who saw playing time. "That was one of our best starts of the year," Baker said. "We just have to keep up the energy through the rest of the season because that was really one of the best games we've played. We were hungry from our losses in the past and really wanted it this time." "No matter what sport it is, the Beaverton community is always behind us," Ashe said. "It's something worth remembering and as a freshman I'm excited to continue my career here. I'm so glad I have this opportunity." Oregon City scored with 33:22 to go in the second half to come within 2-1. 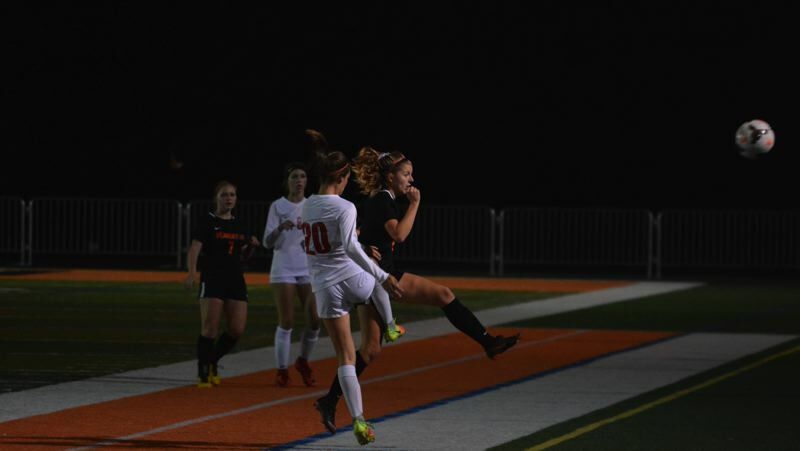 Beaverton junior goalie Natalie Allen fearlessly stopped a Pioneer bullet shot from point-blank range but Oregon City squared up the rebound attempt and sent the equalizer over Allen's head to tie it 2-2 with 24:30 to go. 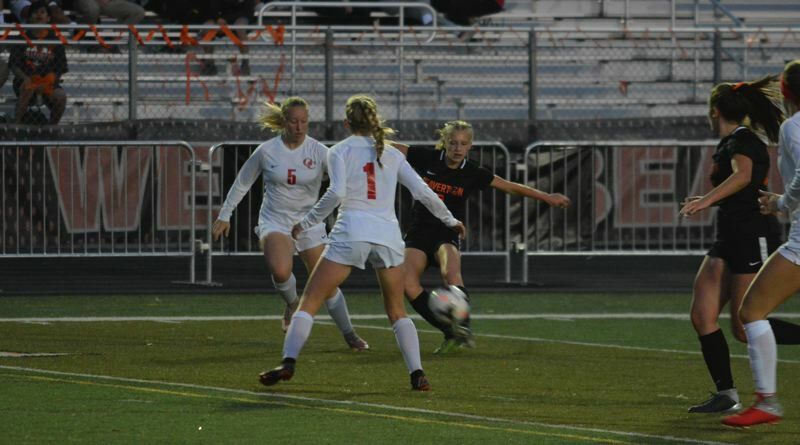 Baker, fellow freshmen Meg Unruh, Macy Deckert and senior Kelsey Pfleiger tried like mad to put home the go-ahead goal with runs at the Oregon City net, but couldn't finish off the win.